Enter to win 1 of 15 advanced copies of AN ARTLESS DEMISE from Penguin Random House thru 2/15/19. Enter to win 5 historical mystery novels from Penguin Random House, including AN ARTLESS DEMISE, thru 2/14. AN ARTLESS DEMISE received a wonderful review from Kirkus. "Based on a true story, thick with period ambience woven into a knotty mystery. Just the right read for a foggy night." Enter to win 1 of 15 copies of AN ARTLESS DEMISE up for grabs at Goodreads thru 1/28. Sold! Anna Lee Huber's fourth book in the VERITY KENT MYSTERY series, in which a former British Secret Service agent struggles to outwit a new nemesis intent on sowing discord in the face of Ireland's rebellion and Britain's economic turmoil following the Great War, to Wendy McCurdy at Kensington, in a very nice deal, in a three-book deal, by Kevan Lyon. Giveaway! Enter to win 1 of 3 audiobooks of TREACHEROUS IS THE NIGHT thru 1/16/19. Update: Much thanks to all who entered! The winners have been selected and notified via email. Giveaway! Enter to win 1 of 12 advanced copies of AN ARTLESS DEMISE, Lady Darby Book 7, thru 12/15/18. Update: Much thanks to all who entered! The winners have been selected and notified via email. Much thanks to Jenny Wheeler for interviewing me for The Joys of Binge Reading podcast! Much thanks to Julia Meek for interviewing me on our local NPR station, WBOI. Lost, but not forgotten. An article I wrote for BookPage in honor of the 100 year anniversary of the armistice ending WWI. Much thanks to the Historical Novel Society for their review of TREACHEROUS IS THE NIGHT! Are you on Twitter? Then you can play along with Kensington Publishing's TREACHEROUS IS THE NIGHT Trivia at hashtag #VerityTrivia from 11/5-14. There will be flash giveaways and more. Or you can check out all the Fact of Fiction statements now. Answers will be posted following 11/14. Want to learn more about my research for TREACHEROUS IS THE NIGHT? Check out these blog posts on Women and the British Secret Service, Seances and the Great War, and La Dame Blanche. Enter to win 1 of 35 copies of TREACHEROUS IS THE NIGHT my publisher has up for grabs over on Goodreads thru 10/24. An article on why the Verity Kent Mysteries should be adapted into a period drama over on Willow and Thatch. Love this review of TREACHEROUS IS THE NIGHT over at Criminal Element. CrimeReads asked me about my recommendations for the best Women Spies in Historical Crime Fiction. So pleased to see my article 8 Reasons to Watch BBC's Restless over at Willow & Thatch. Publishers Weekly interviewed me about TREACHEROUS IS THE NIGHT. Enter to win 1 of 5 autographed copies of TREACHEROUS IS THE NIGHT, Verity Kent Book 2, through September 3, 2018. Update: Much thanks to all who entered! The winners have been selected and notified via email. Enter to win 1 of 10 copies of TREACHEROUS IS THE NIGHT, Verity Kent Book 2, over at Goodreads through Aug 16, 2018. The audiobook rights for Lady Darby Book 7 (AN ARTLESS DEMISE) and Book 8 have been sold. I'll have information about release dates later this year. Enter to win 1 of 25 copies of TREACHEROUS IS THE NIGHT, Verity Kent Book 2, my publisher has up for grabs on Goodreads through Aug 8, 2018. Enter to win 1 of 3 Large Print Editions of THIS SIDE OF MURDER, Verity Kent Book 1, through August 6, 2018. Update: Much thanks to all who entered! The winners have been selected and notified via email. THIS SIDE OF MURDER won the 2018 Daphne Award for Historical Romantic Mystery/Suspense! I'm absolutely thrilled! USA Today's Happy Ever After Blog is revealing the cover of AN ARTLESS DEMISE, Lady Darby Book 7. Or you can now view it on my blog. Enter to win 1 of 10 copies of TREACHEROUS IS THE NIGHT at Goodreads thru July 13th, 2018. Kirkus gave TREACHEROUS IS THE NIGHT a great review. "A thrilling mystery that supplies its gutsy heroine with plenty of angst-ridden romance." Enter to win 1 of 3 Audiobooks of THIS SIDE OF MURDER, Verity Kent Book 1, through July 5th, 2018. UPDATE: Much thanks to all who entered! Winners have been selected and notified via email. THIS SIDE OF MURDER is a Daphne Award Finalist! Enter to win 1 of 10 autographed advanced reading copies of TREACHEROUS IS THE NIGHT, Verity Kent Book 2 through May 29th, 2018. Update: MUCH THANKS to all who entered! Winners have been selected and notified by email. You can now find me on Instagram and BookBub. I'm thrilled to be included on Goodreads Blog in their list of 20 Big Mysteries & Thrillers of Spring. My article in the Strand Magazine on the Top 10 Most Mysterious Settings in Britain. A Conversation with Anna Lee Huber on A BRUSH WITH SHADOWS courtesy of the Mystery Tribune. Enter to win 1 of 5 copies of A BRUSH WITH SHADOWS offered up by my publisher over on Goodreads thru 3/27. The ebook of THE ANATOMIST'S WIFE, Lady Darby Book 1 is on sale for a limited time at all major retailers. Just $1.99! If you've been waiting to give Lady Darby a try, now is the time to snap it up. My publisher is giving away 5 copies of A BRUSH WITH SHADOWS, Lady Darby Book 6, on Goodreads thru 2/21. My publisher is giving away 10 copies of THE ANATOMIST'S WIFE, Lady Darby Book 1 over on Goodreads. Enter through 2/21/18. My publisher is giving away 5 copies of A BRUSH WITH SHADOWS, Lady Darby Book 6 on Goodreads through Jan 24th. Much thanks to Kirkus for their review of A BRUSH WITH SHADOWS! My publisher is giving away 10 copies of THE ANATOMIST'S WIFE over on Goodreads.Enter through Dec 22nd. My publisher is giving away 5 copies of A BRUSH WITH SHADOWS, Lady Darby Book 6, over on Goodreads. Enter through Dec 20th to snag an early copy. Congratulations to Wendy Arndt and Rhonda Combs on being randomly selected to win advanced copies of A BRUSH WITH SHADOWS in my Newsletter Giveaway! Many thanks to all who entered! Stay tuned for more giveaways to come. And if you aren't yet subscribed to my newsletter, please enter your information in the form above to get signed up. In anticipation of the release of A BRUSH WITH SHADOWS, Lady Darby Book 6, my publisher will be running a series of Giveaways over on Goodreads. Click over now to enter to win THE ANATOMIST'S WIFE, MORTAL ARTS, A GRAVE MATTER, A STUDY IN DEATH, and/or AS DEATH DRAWS NEAR. This is your chance to catch up, start anew, or share the series with a friend. Giveaways run through 11/22/17. And stay tuned for more Giveaways to come. I've got advanced copies of A BRUSH WITH SHADOWS, Lady Darby Book 6, and I'm running a few giveaways. This is your chance to snag a copy early. Enter on my Facebook page 10/30-31, and/or sign up for my newsletter and be on the lookout for my November issue. There will be instructions on how to enter a giveaway exclusively for my newsletter subscribers. Best of luck! The book releases everywhere March 6th. Fingers crossed! The issues at Amazon have finally been resolved. THIS SIDE OF MURDER is in stock. My apologies. There may be a slower than normal response time to emails and messages for the next few weeks as I travel for the latest book release and hunker down to meet my next deadline. But I will respond to all queries as soon as possible. Thank you for understanding. Just for fun I've posted recipes for some fun period-appropriate cocktails/mocktails to sip while joining me for the Online Release Party 9/26 or while kicking back to read THIS SIDE OF MURDER. Check out the gorgeous cover for Lady Darby Book 6 - A BRUSH WITH SHADOWS (Out 3/6/18). I will have 10 advanced copies of THIS SIDE OF MURDER from my publisher with me at Kerrytown BookFest. They will go first come-first served, one per person, to those who purchase another one of my books from Aunt Agatha's Bookstore that day at the bookfest. Cheers! My publisher has 15 more copies of THIS SIDE OF MURDER up for grabs in a giveaway over on Goodreads through Aug 16th. THIS SIDE OF MURDER received a lovely review from Publishers Weekly: “Engrossing…Evocative historical details complement the well-drawn characters. The intricate plot builds to a surprising conclusion.” Cheers! You can now follow me on BookBub. I will be celebrating the release of THIS SIDE OF MURDER and signing books at the Barnes & Noble - Glenbrook Square in Fort Wayne, IN on September 28th starting at 7pm. My publisher is running a second Goodreads Giveaway of THIS SIDE OF MURDER. 25 copies are up for grabs through Aug 3rd. I'm pleased to announce I will be appearing at the Michigan City Public Library as part of their Writing Out Loud program on October 14th. And A BRUSH WITH SHADOWS, Lady Darby Book 6 is off to my publisher. Next up, I'll be finishing my story for THE JACOBITE'S WATCH Anthology (more Lady Darby! ), and diving into research for Verity Kent Book 2, TREACHEROUS IS THE NIGHT. Giveaway! My publisher has 5 advanced copies of THIS SIDE OF MURDER, Verity Kent Book 1 up for grabs on Goodreads through 7/21/17. I'm thrilled to share that I've accepted an offer to write 2 more Lady Darby books with my current publisher. Book 7 is slated for release in Mar 2019 and Book 8 in Mar 2020. Meet Verity Kent! Read the 1st Chapter of THIS SIDE OF MURDER. Congrats to newsletter subscribers Barbara B and Jamison L, who have both won an advanced reading copy of THIS SIDE OF MURDER! The audiobook rights for A BRUSH WITH SHADOWS, Lady Darby Book 6 have sold! The audiobook rights for the Verity Kent series have sold! I'm revealing the cover of my upcoming September release - THIS SIDE OF MURDER, Verity Kent Book 1, on my blog; and offering up a fun giveaway on my Facebook Page through 3/2/17. THIS SIDE OF MURDER, Verity Kent Book 1 is now available for pre-order at all major retailers. It's scheduled for release on September 26th. Current/Upcoming Giveaways of SECRETS IN THE MIST: *2 copies up for grabs on Facebook thru 10/20 at 11:59pm. *2 copies up for grabs on my F(Anna)tics street team page thru 10/20 at 11:59pm. *2 copies up for grabs thru my October Newsletter. See above for Newsletter sign-up. *5 copies up for grabs at Goodreads from 10/21-10/30. Both print and ebook preorders for SECRETS IN THE MIST should be available at most retailers' websites. And in some cases, the book is already shipping to customers. Official release date is 10/25. Secrets in the Mist is now up for preorder at most retailers, and others will soon follow. The book will be available in print and ebook, however there has been some delay in the print preorders showing up on retailers' websites. Please continue to check back, or make plans to place your order on release day. And I will, of course, keep you apprised of any updates. Sold! Susanna Kearsley, C.S. Harris, Anna Lee Huber, and Christine Trent’s historical mystery anthology THE JACOBITE'S WATCH, written in the tradition of The Red Violin, spanning two centuries from the mid-1700s until World War II, in which an infamous pocket watch crosses the lives of four unlikely inheritors who seek to contain its mysterious force, to Deb Werksman at Sourcebooks. Big news readers! I have a new book releasing in late October 2016 - SECRETS IN THE MIST. More details here. I have a projected pub date from my publisher for Verity Kent Book 1, AN ENDLESS ECHO - October 2017. A STUDY IN DEATH won the 2016 Daphne du Maurier Award for Published Historical Romantic Mystery/Suspense!! I'm thrilled to see THE ANATOMIST'S WIFE included in this list of 7 Gothic-Inspired Reads to Help You Celebrate Ann Radcliffe's Birthday. Take a fun quiz to find out Which Lady Darby Mysteries Character Are You? A STUDY IN DEATH is a Daphne Award Finalist! Want to be a sleuth? Follow the clues and help Lady Darby's niece, Philpa, solve The Mystery of the Mangled Icing, and be entered to win a bookstore gift card. Contest ends 5/16/16 at 11pm ET. I was honored to be interviewed for my local PBS station's Arts IN Focus program on Sep 23rd. I'm happy to share that AS DEATH DRAWS NEAR, Lady Darby Book 5 will be also be available in audiobook next summer. I'm pleased to announce that A STUDY IN DEATH will be released as an audiobook on September 15th. My interview with Julia Meek at Northeast Indiana Public Radio about Lady Darby and more. The Outline Handout from our Primary Sources and "Touch & Try" Panel we presented at the Historical Novel Society Conference in Denver June 27th. 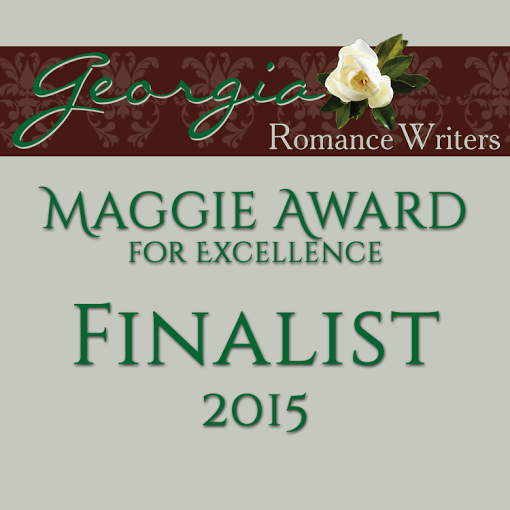 Extremely pleased to announce that A Grave Matter is a Maggie Finalist! So pleased to announce that A GRAVE MATTER is a finalist in the 2014 National Reader's Choice Awards for Novel with Romantic Elements! Fabulous News! I will be signing books at the Literacy Autoraphing at the RWA Conference in NYC on Wed 7/22 from 5:30-7:30pm. Love this event, and so happy to be taking part again this year. All proceeds are donated to literacy charities. So if you live in NYC, be sure to make plans to attend. Absolutely thrilled to announce that A GRAVE MATTER has been chosen 2014 Best Novel with Strong Romantic Elements by the readers of All About Romance in their Annual Reader Poll!! Very excited to share the lovely blurb bestselling author Victoria Thompson graciously provided for A STUDY IN DEATH - "Anna Lee Huber once again takes us into the dark streets and the bright ballrooms of Edinburgh as Lady Kiera Darby investigates the mysterious death of one of her clients. Our fascinating heroine finds danger in both the dank alleys and the glittering homes of the wealthy, where nothing is what it seems and she must even doubt the loyalty of those who profess to love her. A thoroughly enjoyable read!" Great News! I will be writing a special Lady Darby e-novella to fall between Books 4 & 5, to be released in April 2016. And we have a cover for A STUDY IN DEATH, Lady Darby Book 4, which releases July 7, 2015! Check out the Books page for more info. Are you on Facebook? Want to become a F(Anna)tic? Check out the FB Group for more info. And we have a title for Lady Darby Book 4, due out July 2015 - A STUDY IN DEATH. I'm a featured author on Novel Engagement. Be sure to download the app to your smart phone or tablet, and check out the website. My interview in the July 2014 issue of ITW's The Big Thrill Webzine. Thrilled to announce that the audio rights for The Anatomist's Wife, Mortal Arts, and A Grave Matter have sold, and they will soon be available on Audio Book! If you're a member of Goodreads, here's another chance to win a copy of A Grave Matter. My publisher is giving away 20 copies through 7/4. Have you preordered A Grave Matter? Enter to win a Winter in July Prize Pack. Ends 6/23. A lovely review of A Grave Matter by The Bubblebath Reader. If you are a member of Goodreads, be sure to enter the giveaway to win 1 of 5 autographed ARCs of A Grave Matter. Giveaway ends June 19th. Happy to announce that Mortal Arts is a finalist in WisRWA's 2014 Write Touch Readers' Choice Contest in the Mainstream category! A Grave Matter received a great review in Publisher's Weekly. Are you a F(Anna)tic? Join my street team and help spread the word about the Lady Darby novels. 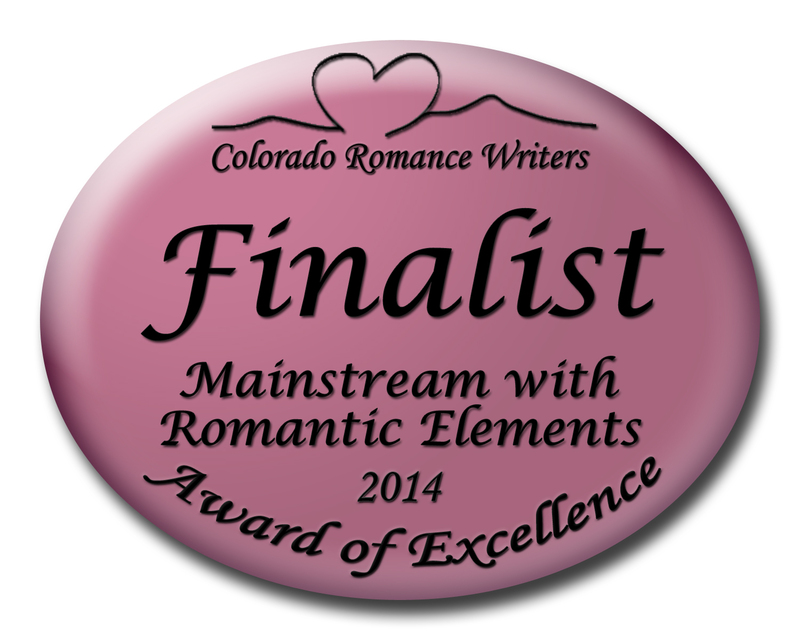 Thrilled to discover that MORTAL ARTS is a finalist in the Colorado Romance Writers 2014 Award of Excellence Contest in the Mainstream with Romantic Elements category! Check out the Excerpt from A GRAVE MATTER. It's official. I've been contracted to write two more Lady Darby mysteries. Book 4 will release in Summer 2015 and Book 5 in Summer 2016. A Grave Matter, Lady Darby Book 3, will release on July 1, 2014! My interview in the September 2013 issue of ITW's The Big Thrill Webzine. I'm thrilled to announce the events on my Mortal Arts Release Tour, both public and online. I'm pleased to announce the stops on my Mortal Arts Blog Tour. It's official! The title of Lady Darby Book 3 is A GRAVE MATTER. It's scheduled for release July 2014. Congrats to the winners of the MORTAL ARTS Contest - Mary Ellen B, Chelsea H, Allison S, Phyllis O, and Kirsten Y! Mortal Arts received a great review from Publishers Weekly. 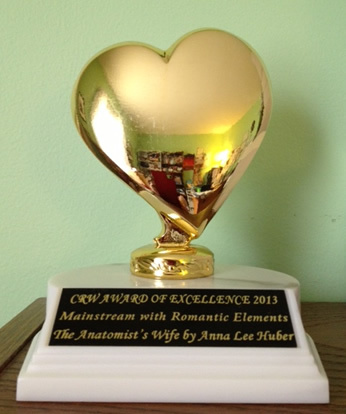 Thrilled to announce that The Anatomist's Wife is the Winner of CRW's 2013 Award of Excellence in the Mainstream with Romantic Elements category! Very happy to announce that The Anatomist's Wife has won the WisRWA 2013 Write Touch Readers' Award in the category Mainstream WSRE! Thank you to all the readers and WisRWA! Very pleased to announce that The Anatomist's Wife is a finalist in the 2013 Daphne du Maurier Awards in the category Historical Romantic Mystery/Suspense! So thrilled to announce that The Anatomist's Wife is a finalist in WisRWA's 2013 Write Touch Readers' Award Contest in the category Novel with Strong Romantic Elements! I'm so happy to announce that The Anatomist's Wife is the winner of the NECRWA 2013 Readers' Choice Bean Pot Award for Mainstream with Romantic Elements. A big thank you to all the readers and NECRWA! I'm very pleased to announce that The Anatomist's Wife is a finalist in the Colorado Romance Writers 2013 Award of Excellence Contest in the category Mainstream with Romantic Elements! 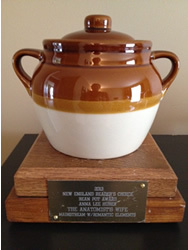 I'm thrilled to announce that The Anatomist's Wife is a finalist in NECRWA's 2013 Bean Pot Contest for Best Mainstream Novel with Romantic Elements. My April 3rd Interview on INsight (ABC 21Alive) about my 2013 RITA Award nominations. I'm so unbelievably happy to announce I'm a double finalist in the Romance Writers of America® 2013 RITA® Awards for Best Novel with Strong Romantic Elements and Best First Book. Just discovered I was featured in an article in The State Newspaper in Columbia, SC on Sunday February 17th. The back cover copy for MORTAL ARTS is now up on the Book page. Check it out. Cover pic soon to follow. The release date for MORTAL ARTS, Lady Darby Book 2 is September 3, 2013. Interviews on Between the Sheets by Heather Webb and the Mystery and Suspence Blogspot by Ariel Heart. I'm happy to announce the title for Lady Darby Book 2 is... MORTAL ARTS. It releases September 2013. I'm thrilled to be featured in RT Book Reviews' November Mystery Overview. My Release Day Interview on INsight - Fort Wayne Channel ABC 21Alive. My interview in ITW The Big Thrill November Webzine. I'm happy to announce I'm signed up for Authorgraph, formerly known as Kindlegraph. So if you can't make it to one of my signings, or just want my signature for your e-reader, visit Authorgraph and make a request. I'm featured in an article in the Fort Wayne Reader about the Allen County Public Library Author Fair November 3rd. Come by and see me and forty other local authors. Anna is available for interviews, speaking engagements, book signings, and to talk to your book club. Please Contact her for more information. My interview on Northeast Indiana Public Radio - Midday Matters:ArtCentric on October 12th. Special thanks to Sarah Delia & Julia Meek for the opportunity, & for making me feel so welcome. The Anatomist's Wife received a 4 Star Review in RT Book Reviews - "Huber's protagonist is complex and likeable... You'll be engaged right to the end." Anna's Media Kit is now available for download. The Anatomist's Wife, A Lady Darby Mystery, releases November 6th, 2012.